Looking for a bigger challenge? 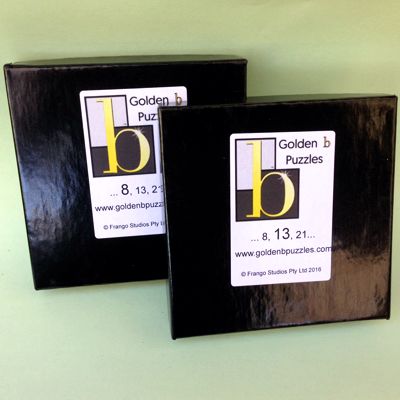 Our Combo Pack combines two Classic Edition Golden b Puzzles to make one massive 21-piece puzzle. That’s 21 unmarked, identically shaped, precision-cut tiles that need to be moved, rotated and flipped to form a single b-shape. You can also drop the difficulty by solving the 8- and 13-piece puzzles individually. Sound like fun? Get your combo pack today and save compared to buying the puzzles separately. Add even more Golden b Puzzle sets to increase the difficulty level.